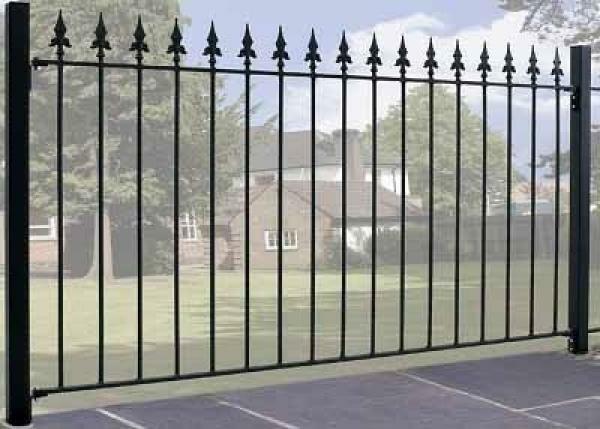 Imposing metal fencing fitted with spear top finials. Provides improved privacy and security. Create an imposing look to the perimeter of any outdoor space with the addition of the high quality Saxon Metal Fence Panels. Fitted with spear top finials to provide added security and to enhance the overall design Saxon metal fencing is a firm favourite with property owners looking for a stylish and practical home and garden security solution. 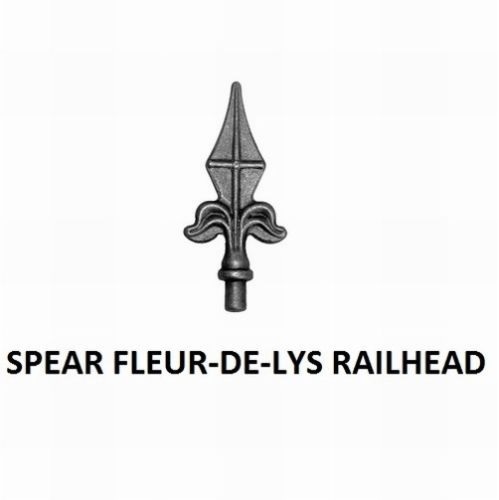 Spear top finials create an imposing appearance. Metal fencing is perfect for modern and traditional settings. High quality construction ensures years of security benefits. Features 25mm x 10mm metal frames and 12mm solid infill bars. Fence panels are supplied with a fittings pack that is suitable for fixing to brick, wood or metal posts. Saxon metal fencing is available to order in a choice of black primer (must be painted before you install them) or a low maintenance zinc plated (electro galvanised) and black powder coated paint finish. Do you need help with sizes? If you are unsure of what size you need or how many fence panels to order please feel free to call us on 0844 804 5577 and we will be happy to work this out for you. Alternatively you can also send your queries using our enquiry form. 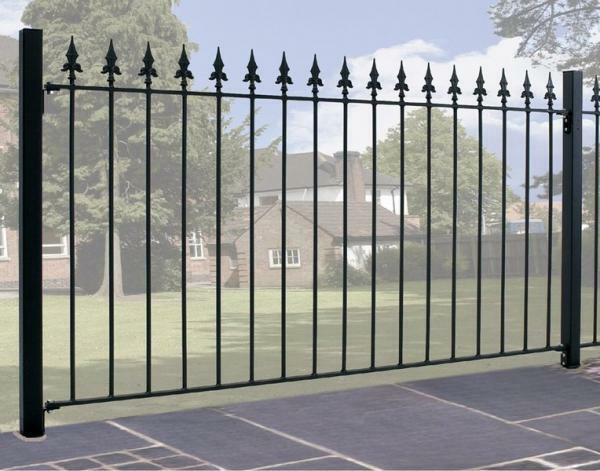 If you need to order metal posts to aid with installation of the Saxon metal fence panel we have numerous options for you to choose. Where these items are needed please select from the options below. If you are unsure which post to order or would like help with sizes, number of posts or panels to order or have a question you would like answering please get in touch by phone or email and we will be pleased to provide you with assistance.